You must be logged in to book tickets. Why is oral care important in care of the dying? This lecture examines the role of nursing and explores the importance of oral care in people with life limiting illness receiving end of life care. This course is designed to meet the GDC’s development outcome (TBC) and will qualify for 1.5 hours of verifiable CPD. Professor Bridget Johnston is a clinical academic and holds the post of Florence Nightingale Foundation Chair in Clinical Nursing in the School of Medicine, Dentistry and Nursing, College of Medical, Veterinary and Life Sciences, University of Glasgow. This a joint post between the University of Glasgow and NHS Greater Glasgow and Clyde in Scotland. Bridget is a registered nurse and has a clinical, educational and research background in palliative care. This includes over 12 years working in hospices. She graduated with her PhD from the University of Glasgow in 2002. Bridget has held academic posts in the Univeristies of Stirling, Dundee and Nottingham before returning to Glasgow in 2016. Bridget’s research has centred on self-care and advanced cancer, telehealth and palliative care symptom management in palliative care and laterally developing and testing interventions related to dignity and end of life care. 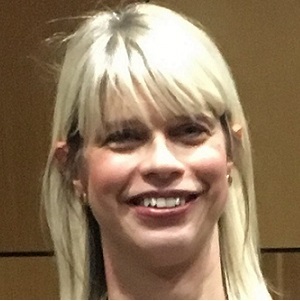 Bridget’s current funded research, includes: developing and testing a carer intervention for carers of people with life limiting illness in Glasgow; exploring the use of differential diagnosis decision support systems: potential solutions for new roles in out of hours and primary care; and evaluating end of life care in prisons. Bridget has established a patient and public involvement in palliative care research group in Glasgow which has been chosen as a test bed for NIHR patient and public involvement standards. Bridget supports a number of PhD students from across the world doing palliative care studies. Clinically, Bridget is mainly involved in issues related to end of life care and bereavement across the Greater Glasgow and Clyde NHS area. She is also involved in supporting and building capacity in nurse clinical academics. Bridget was appointed as a Patron of Macmillan Cancer Support Alumni in 2015. Bridget is chair of the Scottish palliative care research forum and Deputy Chair of the Scottish Partnership for Palliative Care. Bridget is Section editor BMC Nursing and Section Editor (end of life care) Current Opinions in Supportive and Palliative Care. Bridget tweets as @BridgetJohnst and co-hosts a palliative/end of life twitter group @Weeolc.